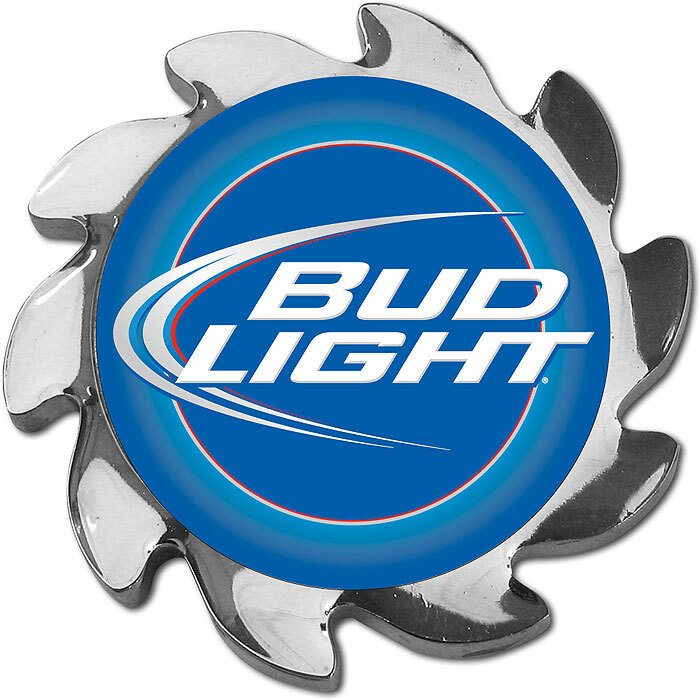 Have fun waiting on the slow bets by spinning your card cover with these high quality Bud Light spinners. The detailed graphics are embedded in the 3/16 inch thick spinner and covered with a clear laminate to prevent fading and protect it against any spills or moisture. Features Include: Shiny silver alloy composite. Detailed Bud Light graphic 3/16 of an inch thick. Raised button for spinning 1.625 inches in diameter. Make the other players at the table jealous . . . or thirsty!